Trekking and electric assist are the perfect marriage.Haibike Trekking models represent long distance comfort with all the extras. Here the concept of a 'sacrifice part' applies: Similar to a helmet, theSkidPlate absorbs impact forces by deformation or destruction which would otherwise damage the significantly more expensive motor.  A computer and control element: the proven Bosch Intuvia display is easy to read and offers many functions and information to the rider.